It is spring-time in Kolkata and the atmosphere is laden with a festive mood. The Kolkata Book Fair is in full swing. The festival of Saraswati Puja, which the vernacular media here has christened as Bengal’s Valentine's Day, falls on February 1 – incidentally the Union Budget day from this year onwards. And our chief minister has advised us, quite sensibly this time as opposed to what she is known for, to ignore the Union Budget. Against my natural instinct about her advise, I wholeheartedly followed her suggestion on the Budget day. And why not? I often wonder why there is so much euphoria about the Union Budget in the media. A budget after all is – just a budget and nothing more or less. It is a statement of planned receipts and expenditures over a stipulated period of time – like what we do at the beginning of each month in our family. In case of the government, the time-period is one year and the uncertainty over the receipts and expenditures is higher since it depends on multitudes of other factors. And the objectives are different. The family budget allocations are made to maximise the welfare of the family, while the government of the day chooses the budget allocations to increase its vote share, particularly if there is an election in near future. And if the next election happens to be in Punjab or Uttar Pradesh, then one can safely predict that the focus of the budget would be farmers and rural development. I would have understood the excitement around the annual Budget if the government becomes constitutionally obliged to announce any major economic policy decision in the finance minister’s budget speech. But it is not so in India. In fact, the major policy decisions are almost always announced separately from the budget. Take for instance the New Industrial Policy of 1991 which abolished the "License – Permit Raj", MGNREGA or the recent demonetisation – arguably the three most significant economic policy decisions in India in last quarter century. None of these were announced by the finance minister in the budget speech. The announcements made by the prime minister on December 31 in his speech include housing for the poor, relief to farmers, credit support to Ministry of Micro, Small and Medium Enterprises (MSMEs), encouragement to digital transactions, assistance to pregnant women and senior citizens and priority to Dalits, tribals, backward classes and women. He did not need a budget to announce these schemes. foregone. From a government’s budgetary perspective, I fail to see the difference between the two. I also do not understand why it is such a grand achievement to propose 3.2 per cent instead of 3.4 per cent fiscal deficit which at the end of the year often overshoots the budget proposal. The government generally takes the opportunity of the budget to score political points by announcing some minor schemes (which are most of the times old schemes repackaged with a different name) or by playing with numbers. Take for example, the finance minister’s claim of an unprecedented increase in MGNREGA allocation from Rs 38,500 crores in the current to Rs 48,000 crores in the next fiscal year. What the Finance Minister did not tell us in his budget speech is that the current fiscal’s revised estimate for MGNREGA is Rs 47,499 crores as the demand for jobs under the scheme has peaked up after demonetisation. After accounting for the rate of inflation, there appears to be a decrease in real terms in MGNREGA allocation. Overall, the budgetary exercise is nothing but some fiddling with numbers to balance the book. And that is how it should be. It is just a budget after all. I doubt whether there is any real significance in the budgetary exercise to generate the high-pitch media excitement around it. Our chief minister has nailed it. I feel proud. 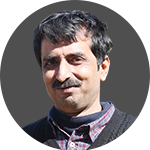 Sukanta Bhattacharya is associate professor of economics at Calcutta University. His specialisation is in Development Economics.